Since 1996, Learning Tree’s founders have been fulfilling a vision to build a network of day schools that provide quality childcare for Beaverton, Aloha, Hillsboro, Portland and surrounding areas in Oregon. While your children enjoy fun activities, you enjoy peace of mind. Knowing the importance of childcare to your family’s schedule and routine, we’re always available when you need us the most. 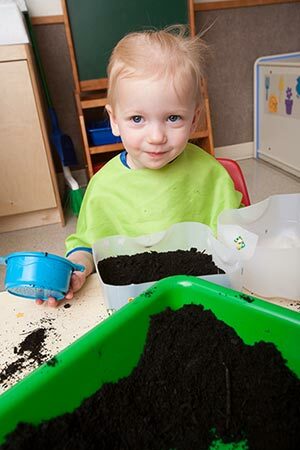 As the “Leaders in Quality Childcare” for Aloha, Beaverton, Hillsboro, Portland and other nearby communities, we provide Oregon children from 6 weeks to 12 years old a safe, supportive learning environment. We respectfully teach your children caring, sharing, conflict resolution and sportsmanship skills as part of our lessons—while nurturing self-esteem and social and emotional development. Sparing no expense, we offer only the best-quality furniture, supplies, toys and food. We own and operate our schools, so you can expect the highest-quality care for your children and peace of mind for yourself. Because we don’t answer to a board of directors or shareholders, we can invaluably prioritize your child’s care above profit margins and stock prices. In Beaverton, Hillsboro, Portland or any surrounding Oregon area looking for childcare? Find an environment supporting healthy child development in our Learning Tree network!